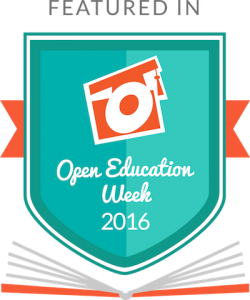 Here at COERLL, we encourage teachers to use Open Educational Resources (OER) and Open Educational Practices (OEP) in their classes. One way to begin using OER and OEP is to search for and use pedagogical materials (lessons, activities, and courses) that other teachers have posted online in OER repositories. To help navigate through the many options, we’ve gone through all of the OER repositories we know of to see what the benefits are of each one, and how much language content is available. This is a summary of what we found, we hope after you read this you will want to either search on some of these sites, or upload your own materials for sharing! And please let us know in the comments if you know of other repositories not included here! availability of language content – does the repository have at least some content for language learning, and is it easy to find? tools for vetting – does the platform provide for peer reviews or some other vetting/editorial process to assure teachers access to quality content? ease of remixing – does the platform encourage teachers to edit materials and personalize them for their students? licensing information – are licenses clearly marked? do licenses allow for fair attribution, sharing, and remixing of content? are Creative Commons licenses encouraged? metadata quality – does metadata facilitate searches using different criteria (e.g. languages, proficiency level, etc.)? A well respected and mature (started in 1997) repository for lessons and activities. There are lots of options for collaboration and communication, so that it’s not just a repository but a community around sharing resources. Teachers can discuss the materials with each other in a comments section. Easy to create a learning exercise around the materials. The best part about this textbook repository is the elaborate rating system and emphasis on peer reviews and the vetting process. There is a detailed list of criteria to guide users in reviewing materials. Licensing information is clearly marked. Some COERLL textbooks have just been added to the language page! OER Commons is a large repository for any kind of materials (lessons, activities, textbooks, etc.). It has tools in place for thorough evaluation, remixing, creation, and licensing. Users can evaluate materials based on Common Core standards and an extensive rubric. There is also a general rating available (out of 5 stars). The lesson builder allows teachers to create new materials or reuse existing. Full courses available from Carnegie Mellon, for teachers looking for structured and complete courses. Plentiful guides and resources for teachers. Licensed with a CC-BY-NC-ND license. Users can add content but can’t remove or revise content from a course. Free for instructors and independent learners, $50 for enrolled students. Statistics about student use help teachers track progress and help Carnegie Mellon research education theories. Professionally laid out materials are easy to find and edit in this library of courses from the Washington State Board for Community and Technical Colleges. All materials are in google docs which makes them easy to modify. All content is clearly marked as Creative Commons licensed. The website for the 16 national Language Resource Centers (of which COERLL is one), where you can search a list of over 800 classroom and professional development materials. Curriki does a good job of emphasizing community, and its wide range of review options helps users to sift through a lot of activities and other content. There is a separate community for teachers to discuss how to use materials. Users can align materials with standards. TES is a repository where teachers share activities. Some activities cost a small fee but the World Languages section and the remixing tools make this site worth looking through. American Sign Language, Ancient Greek, Arabic, French, German, Italian, Japanese, Latin, Mandarin, Portuguese, Russian, Spanish, etc. MIT OpenCourseWare (OCW) makes course materials from MIT classes available for the public. A good range of languages represented. Course materials includes any combination of syllabus, calendar, list of readings, assignments, online/related resources, study materials, instructor insights, and sometimes even course videos. Though the instructor created materials are free and openly licensed, some of the course materials referenced are not free or open. Wikibooks and Wikiversity are both run by Wikimedia. There are currently a lot of incomplete materials there but with the ease of editing, options to add auxiliary materials, and discussion tools, these platforms could be a rich resource. LORO is all language content! It contains mostly activities rather than whole textbooks or collections. It’s supported by The Univesity of Southhampton and the Open University. All content is CC licensed. Some other repositories are set up well but have little or no language offerings. I’d like to mention them anyways as examples of all the ways a repository can encourage sharing and collaboration. BC Campus Open Ed has all the right tools for building a community of collaboration around the available CC licensed textbooks, including detailed criteria for peer review and resources for adopting and modifying texts. The Orange Grove is the state of Florida’s repository. One of its best features is its detailed metadata which makes it easy to search for content. Gooru offers CC licensed collections of materials, and many other features such as games and tools for remixing content and measuring student progress. OpenStax CNX offers fully vetted, modularized textbooks, and an option for sharing activities and lessons. The Sofia Project is a smaller repository, but it’s interesting to look through because of the large amount of auxiliary materials, like syllabi, rubrics, schedules, assignments, projects, exams, and even sample student assignments. The Global Text Project is a grassroots approach to textbooks and encourages teachers to adopt books and work with their students to make them better. The Saylor Foundation provides well organized and complete CC licensed courses with a lot of auxiliary material, and peer review and feedback are encouraged. Storyweaver is not quite a repository but it offers a good model for collaborative language work… anyone can upload storybooks in any language (41 languages represented so far), and members of the community can comment on stories, share on social media, translate them or edit them for different levels of readers. Tagging: Some repositories appear to have more language content than they do because content in a foreign language is tagged under the same category as content for teaching foreign languages. So for example, a Portuguese lesson about biology for Portuguese speakers could be in the same category as a Portuguese learning lesson for English speakers. Use cases: Most repositories don’t specifically encourage a teacher who uploads a resource to explain how they used the the resource in their classroom. This information could help other teachers save time and give them new ideas about teaching methods. Remixing: Editing materials is a key aspect of OER, but some sites do not encourage it. Some repositories do encourage edits in their platforms, but the resulting new material is not usable outside of the platform. Popular tools: Some of the most widely used platforms (for example, YouTube) offer free resources for education, but don’t always provide important tools: peer review options, search terms compatible with educational criteria, and open licenses. 1Atenas, Javiera and Havemann, Leo (2013) ‘Quality Assurance in the Open: An Evaluation of OER Repositories.’ INNOQUAL – International Journal for Innovation and Quality in Learning , 1 (2). pp. 22-34. Many thanks for this excellent website! It was just what I needed to quickly start finding OER course materials for my Spanish classes. I am really grateful. You are welcome! We’re glad it could be of use. If you have any good stories about using OER in your classes we would love to hear about it at info(at)coerll.utexas.edu. Your website looks amazing, I have just shared your URL with our MFL FB group. Thank you!